Your executive coach will employ motivation and optimization strategy to rise above mediocre and extraordinary performance. Sometimes you will just need to vent to obtain clarity. We provide an objective sounding board, and coach you to optimize – not just manage or improve – your productivity, communications and results. You will assess your thinking patterns and competence. You will clarify your expectations for future performance, then set and prioritize your most important goals. You will then execute your own custom plan to maximize your effectiveness. In collaboration with your executive coach, you will maximize your management and leadership activities. You will also resolve personal issues that undermine best practices and performance. Our success rate is unmatched because we only accept clients who we believe will succeed. 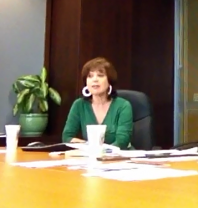 You can visit our office in Marina del Rey, Los Angeles, or schedule virtual coaching (video conference or telephone). Rosalene, I don’t know how to thank you enough for the help you have given me and my team. My 12 months with you have been the most productive years of my career. You’ve kept me on the optimal track! My pleasure Alan. Looking forward to more optimization initiatives with you. Rosalene Glickman is extremely knowledgeable about soft and hard business skills and knows how to get the best out of you. During the year she’s coached me, I have performed better than ever in business and created a long needed balance with my family and work schedule. Before that, I was having trouble sleeping and taking time off for anxiety-related doctor’s visits. 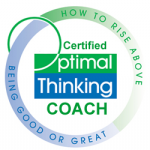 Rosalene is a brilliant, one of a kind coach that gets results. John, you fully deserve the results you’ve achieved. Bravo! Rosalene helped me to overcome major obstacles in my career. She has a rare combination of integrity, wisdom and business acumen. Rosalene Glickman is a top grade expert. A wonderful coach who effortlessly helps solve the most complex issues. I can’t recommend her highly enough. Rosalene Glickman is a phenomenal coach. Gets right to the point, is empathic and immediately works on generating options and the best solutions. A winning experience. I’ve used several coaches over the years but no one is anywhere near as effective as Rosalene Gliickman. She gets to the heart of any matter and makes optimum solutions an art and science. She is a genius and her services are a bargain. I am the CEO of a mid-size company who was referred to Rosalene Glickman’s coaching program by a fellow CEO. Her coaching has been an outstanding experience. 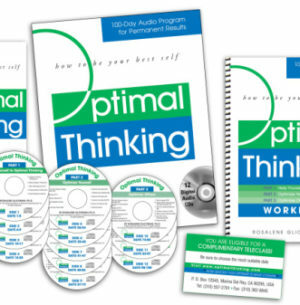 When I started optimal thinking executive coaching, I knew there would be significant rewards, but I didn’t know how wide ranging the rewards would be. The results in terms of profits, growth, and culture have exceeded my expectations. I’ve received 17 times ROI in just under a year. Rosalene Glickman is the ultimate executive coach. She is extremely knowledgeable about leadership and business. Brilliant, focused and uses optimal thinking to produce the best solutions. I had lost my enthusiasm and was floundering at work because of a lot of unresolved conflict. She helped me get through it all, create goals I am passionate about, and implement them seamlessly into my company. She also helped me get unprecedented support from my staff. I feel invigorated. Be prepared for a no-nonsense approach.